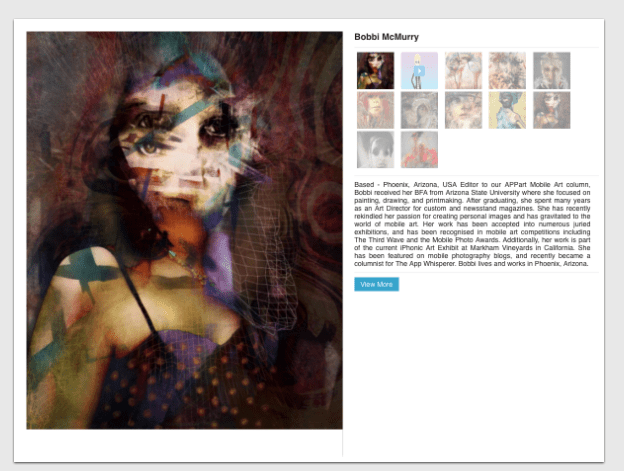 bestcreate corp. announces the immediate US release of Meeti, the visually based app discovery tool for iPad. Developed in Japan and featuring a stunning interactive display, this cutting edge app discovery platform allows users to explore the latest apps by browsing through a virtually endless number of screenshots. Easy to use, beautifully laid out, and original in its execution, Meeti is the hassle free app finding solution for those in the know. Meeti features a gorgeous tile layout of app screenshots that enables users to browse the most recently approved and updated apps straight from Apple. 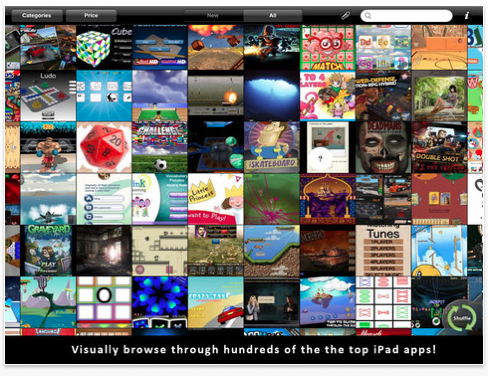 Simple 360-degree swiping and sorting by category lets iPad owners uncover and intuitively select new, interesting apps. Furthermore, Meeti will be released for free in the US App Store, allowing US users to experience this hit Japanese app at no cost. A little over a year ago, Facebook introduced Places, their location-based offering which was set to go head-to-head with Foursquare. Fast forward to today. In a significant turn of events, Facebook made a switch from "checking-in" to sharing nearby places and more recently the purchase of GoWalla. But knowing where you are, is one thing, knowing how to get to where your friends are, is another. 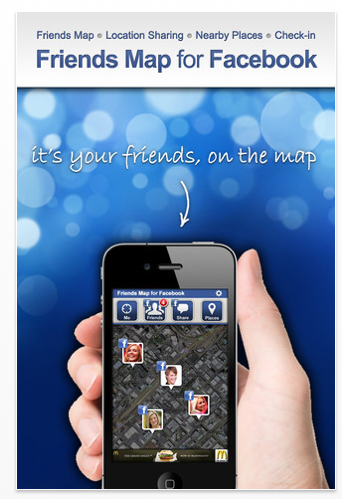 That’s where the Friends Map for Facebook iPhone app comes in. Friends Map for Facebook takes a cool approach to maps, by letting you see your Facebook friends directly on a map, share your location, search for places around you, check-in to them as well as share a Facebook status update with a link to your location on a map. Developers should also take note, AtlasCT, the developers of Friends Map for Facebook have said that they will be opening the API that will allow any developer to embed friends map and allow location sharing in their mobile or web apps. A perfect example of this is the Friends Map HTML5 page which works on any smartphone, accessible by pointing the mobile browser to friendsmap.me. Facebook Friends Map: See where all your Facebook friends are on a map. Share Your Location: 1-Click and your Facebook friends will see you on a map. Search Nearby Places: Find the nearest restaurants, cafe, hot nightlife and more. Check in: Let your Facebook friends know that you’ve arrived at a certain location. Smartoonz, one of the leading children’s content development companies, has just released a new entertaining application, for Apple iPhone and iPod touch.From the TV show "Monkey See Monkey Do", Monkey and his friends are here to celebrate the holidays with you! "Monkey Christmas" is a Free easy to use greeting postcards maker for the Holidays. 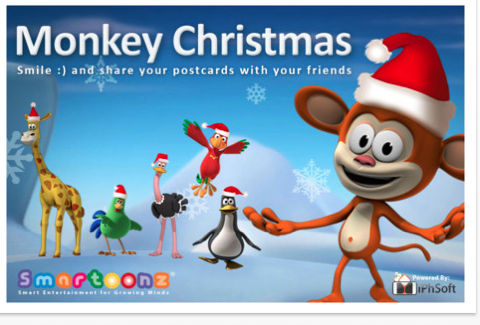 *You can easily create a Christmas greeting postcards of you, Monkey or his friends. save and share your postcard with your friends and family using email or facebook. The new app was developed by Snappsi, produced by Smartoonz and powered by iPhSoft. * 6 different animals from the show that you can scale and place on the postcard. 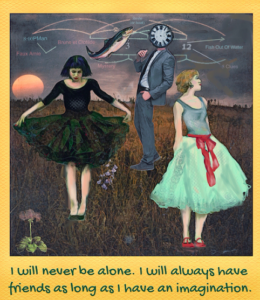 * You can save and share the postcard with your friends and family by email or facebook. 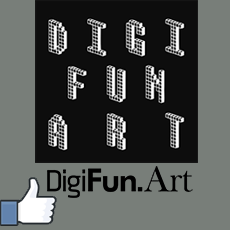 Betel Nut Games is proud to announce the release of Dog Park: Top Dog for the iPhone, iPad, and iPod touch on December 6th, 2011. 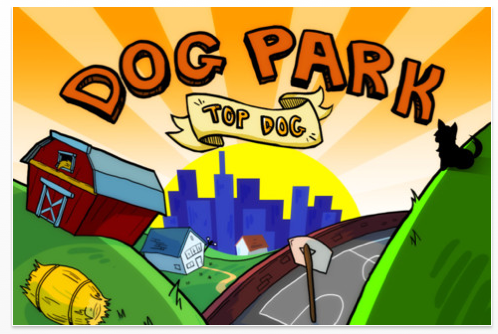 Dog Park is a light-hearted but challenging arcade strategy game where the player controls a dog who is looking to claim the most territory in a park by peeing on various objects. The dog that claims the most territory before the timer runs out wins! Become top dog of the city and get the other breeds you meet to join your dog pack by conquering all four neighborhoods in the city, spread across 12 dog parks. The more neighborhoods you can claim, the more dogs that will join your pack, each with their own playing style and attributes. Earn high scores and in-game currency by playing with the more difficult to master breeds. In-game currency can be spent at the Dog Shop where you can buy upgrades to use in the game that alter your dog’s canine skills. Purchase ear muffs to protect yourself against barks, grab a water bottle so you won’t get dehydrated, or munch on some asparagus to really mark your territory! If that’s not enough the player can also compete in 28 unique bonus maps with plans for more to be added over time! 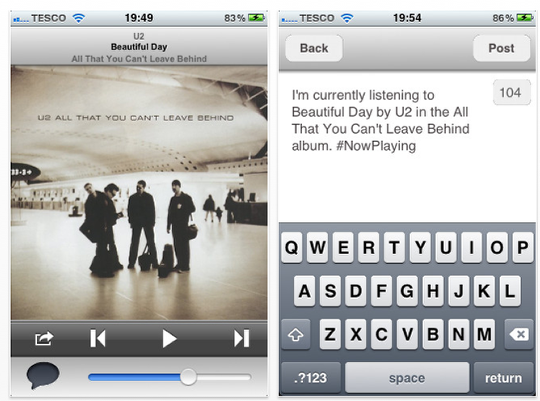 MusicStatus for Facebook is a fantastic App to let your Facebook friends know what music you’re currently listening to on your iPhone or iPod! With the sleek, easy to use interface you can easily access your device’s music library and then post the song, artist and album names directly to your Facebook wall as your status! Simply run MusicStatus to automatically load the information of the song you are listening to. When the next song starts playing while the app is still running, it will automatically reload the song information. You can even view the current playing song’s album artwork directly within the App! With MusicStatus for Facebook, you can easily tell the world about your current mood with your music life! "ShotList" the unique app which allows filmmakers of all levels to schedule and track movie and video shoots from their mobile devices, gets a new update on the App Store to add features requested by its users. Production stripboard systems have been used for many years to plan professional movie shoots, and ShotList is the first app to bring a standalone Stripboard system to Apple’s App Store. 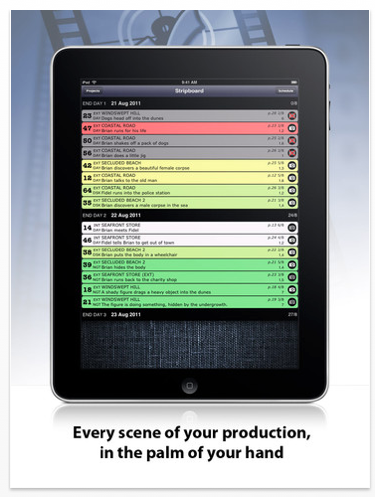 Shotlist can also be used as a daily "To do" list on larger productions, keeping essential notes and storyboards in your pocket and tracking progress on the day of the shoot by checking off scenes and shots as they are completed. * Add, edit, delete or re-order scenes across a multi-day shoot. * Update scene status as you shoot, ensuring a vital scene is not missed. * Hold storyboard frames or reference images for each scene taken from your photo library or onboard camera. * Store notes for each scene, with hotlinks for instant access to web addresses* or speed-dial of included phone numbers. * Keep everyone informed of the latest changes by emailing out a current "one-line schedule" at the press of a button. * Backup or exchange updated project files wirelessly with other ShotList users in your team with Dropbox(TM). Version 3.0 of ShotList adds the ability to filter scenes with a certain combination of characters, locations and settings, faster navigation between scene strips with a simple swipe, and a number of other fixes and enhancements. Internet Design Zone, an iOS app developer company, today is very happy to announce their new iPhone/iPad app: Christmas Coloring For Kids. This coloring book app is a very good way to keep kids busy this holiday season. While children are coloring Christmas images with their fingers, this app will also help kids to develop their creative and artistic skills. Most small kids like drawing and coloring. Normal coloring books are available aplenty on the app store. But this coloring app has images just for the holiday season. 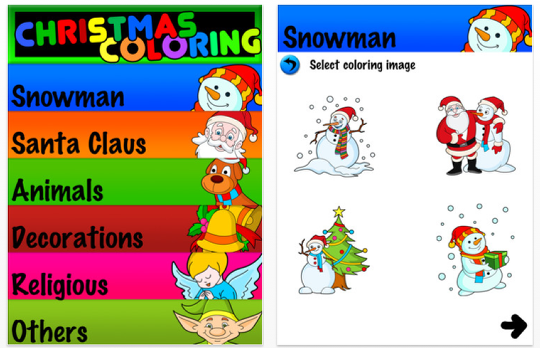 Kids will love this app because they get to color Santa Claus, Snowmen, Christmas decorations, Xmas tree, angels, Santa’s helpers, etc. A kid’s finger becomes the paintbrush. Parents will be happy to see their kids use their free holiday time in a creative way. Parents need not even search for a separate holiday activity or buy expensive coloring books and art materials. Parents can simply download the app and get a ready to use Christmas coloring book for their kids. Designed originally for iPhones, Garage Sale PRO finds the latest garage sales going on in your area and helps you locate them using a Google map. The most significant feature is displaying nearby results to users without requiring any setup. 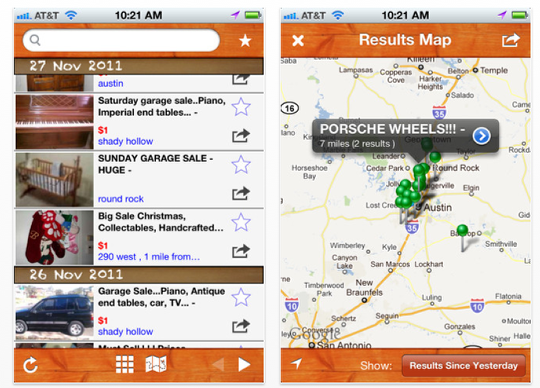 In addition, Garage Sale PRO gives users Favorites and multiple types of views for their search results. e of Voyage for iPhone, iPad, and iPod touch devices running on iOS 4.0 or later. A unique traveller’s resource that includes detailed information on more than two hundred countries, this useful app provides Canadian travellers roaming abroad with everything they need to know to stay safe, make the most out of their travels, and ensure they have a smooth journey to almost any corner of the world they choose to go. Newly updated, version 1.2 of this app includes government info updated in real-time. Voyage v. 1.2 is currently available for download on the Apple App Store for $0.99 in the Travel category. Employing an easy-to-navigate interface that categorizes information by country, Voyage divides each nation’s guides divided into unique concise sections. This straight forward structure guarantees that users are able to find the facts and information they need quickly without having to sift through scores of irrelevant content to get there. Each Travel Report in Voyage includes twelve unique sections – Recent Updates, Warnings and Recommendations, Safety & Security, Entry/Exit Requirments, Government Contacts, Travel Health, Laws and Customs, Currency, Natural Disasters and Climate. Voyage also provides travellers interesting country facts such as the People’s History, Culture, Politics, Geography, Economy, Media and Map. With its recent update Voyage is now more practical than ever. The app now offers users the comfort of knowing that all included official travel reports are automatically integrated with their original government source and updated in real-time. With Voyage, getting all the facts and information you need to know before, during, and after your adventures around the world is as easy as turning on your iPhone, iPad or iPod touch. Independent developer Esa Helttula today is pleased to introduce Multiplication Table 1.0, the 15th of his math instruction apps for the iPhone, iPod touch, and iPad in the popular iDevBooks series. 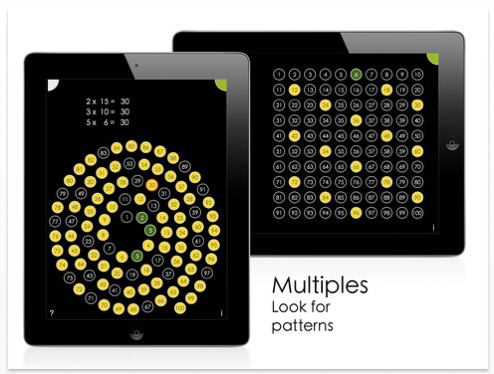 It provides a unique visual way to learn and study the multiplication tables. * Table: Explore the multiplication table in various ways. * Groups: See the multiplications as visualizations. * Multiples: See how each number has an unlimited number of multiples. * Solve: Scramble and solve the multiplication table. The app has been well received by educators and parents. In Wired.com GeegDad review article Jenny Williams wrote: "I highly recommend it for any kid who is learning their multiplication tables, or who needs a more visual way to approach the subject." "The aim of the app is to increase the intrinsic motivation of a student to learn the multiplication table." commented Esa Helttula. " There are no quizzes, badges, or timers in this app. The app is impossible to explain in words, you have to use it or at least see the video of it." 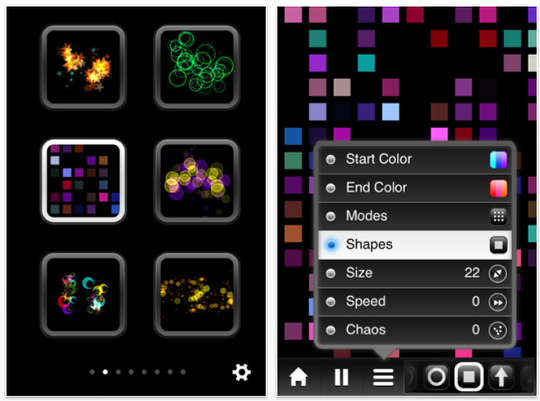 Appakabar today presents its first application: Makanim, a multi-touch app for making animations of colored shapes. Makanim is available on the AppStore for iPad and iPhone since november 22th, 2011. Makanim is an artistic multi-touch particle generator. 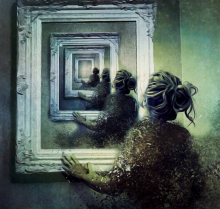 Touch the screen with one to six fingers and forms will come to life. The menu bar at the bottom of the screen allows to edit in real-time 2 from 7 parameters: animation mode, start color, end color, shape, size of the shape, speed and chaos. The chaos recipe is a wise combination of variables. Makanim permits to make screenshots, stored in the photo library, or to project animations on an external display using a HDMI or VGA adapter (VGA/HDMI output is only available on iPad 2 and iPhone 4S). Makanim is a powerfull application that can both entertain and relax everyone. The shapes will swirl, flutter, entangle, flit around fingers! Makanim is not the first app for particle generation, those are plenty and various. Relaying on its graphic and development experience, Appakabar wants to do something different. Makanim is simple, with numerous graphic possibilities. The controls are easy to use. For exemple, the handling of the colors is not as usual the three sliders Red, Green, Blue, but a simple select list of pictograms that represent tints or mix of tints. The same type of control is used for the shape and the mode. The first screen allows to preview the 48 presets with a pagination. The presets are easy to visualize. Select one and a new screen appears where the animation is auto played. Open the pop-up to choose the parameter to edit, use the controls to change it in real-time. The expert mode allows to hide the menu bar and play with full screen. The FAQ for Makanim is available at Appakabar online. 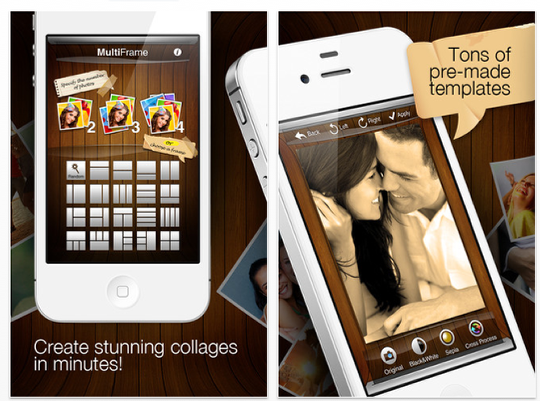 MultiFrame is a perfect app for everyone wishing to create professionally looking photo collages with a few swipes of the finger. 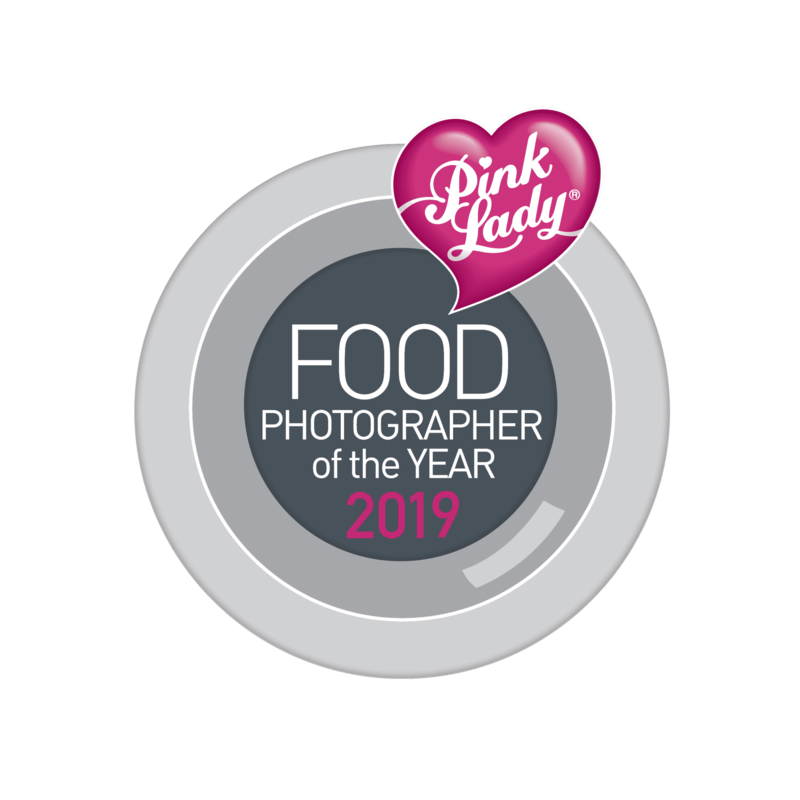 With the ever growing quality of camera phone images and abundance of photo editing applications, casual photographers often get lost in the tons of effects and filters, trying to achieve the most visually appealing result. 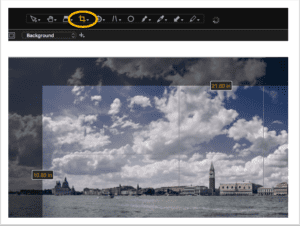 A simple and well-designed interface of MultiFrame lets users choose among the carefully selected variety of border styles, filters and frame designs, guarantying an unchangeably stunning masterpiece at the output. 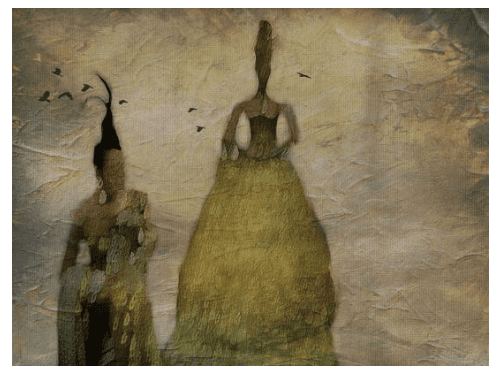 The whole process of taking or choosing a photo, selecting the frame, embellishing the collage with a fancy border, applying effects and editing images for the better look becomes simple, quick and fun! 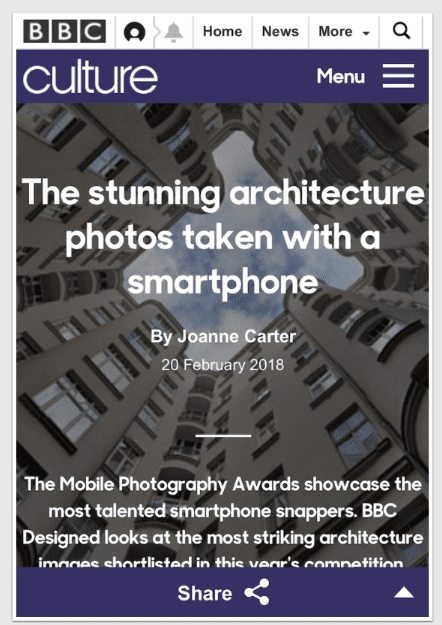 An impressive range of sharing possibilities adds to the features of the app that would definitely be enjoyed both by pros and wannabe photographers. MultiFrame lets users instantly share the red-hot masterpiece across multiple social networks, save it on the device or send it by email all from one single screen within the app. Internet Design Zone, an iOS app developer company, today is pleased to announce their latest iPhone/iPad app, Dress Up For Girls: Holidays. This app is the perfect dress up game for girls for the Holiday season. Girls can show off their sense of style and fashion by creating hot new looks for Christmas, New Year and other holidays. In this holiday dress up game, girls can give the virtual girl a pretty and lovable makeover for Christmas with the different dresses and accessories. Or a hot party look for New Years Eve. Other holiday themes include Easter, St.Patrick’s day and Halloween. There are options to change hairstyles, dresses, tops, jackets, skirts, handbags, belts, jewelry, shoes, hats, glasses, skin complexion, etc. Girls can mix, match and create hundreds of hot stylish combinations/looks with the holiday themes, accessories and dresses available. Girls could create their own virtual avatar and keep it as their wallpaper on their iPhone, iPad or iPod touch. They can also compete with their girl friends to see who can create the hottest looks. A girl could also create avatars matching the personalities of her friends and choose the photos as display pics in the iPhone contacts. The image will show up whenever the friend calls. Girls will love making a style statement this Christmas with this app. The app can be used round the year for different holidays. Polk Street Press, a new independent publisher, today is excited to announce the release of its first iPad app, 12 Days of Christmas. Founded on the premise that children’s apps should have the same high quality art and educational content as a picture book but with the interactivity and fun made possible by an iPad, Polk Street plans to release two apps this year just in time for the holiday season. With a projected 40-50 million in total iPad sales by the end of the year and a growing market of parents hungry for high quality apps for kids, traditional publishers are in many cases struggling to translate existing assets into compelling digital experiences. 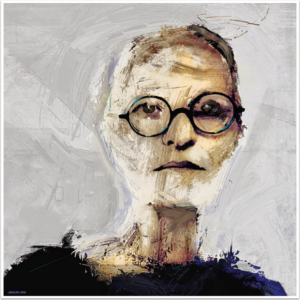 Enter Polk Street Press creating original art, stories and music tailor-made for the iPad platform. This innovative take on the Christmas classic is sure to get you into the holiday spirit! Create your own Christmas videos to share via email or facebook as you sing along to this original arrangement. Play along to practice counting down from 12 as you discover each gift from your true love. 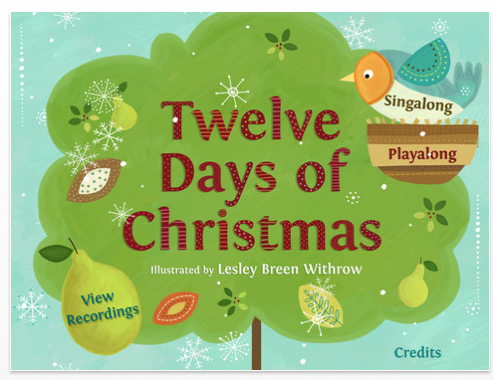 Gorgeously illustrated and fun, 12 Days of Christmas will delight children ages 4 to 104!